SEATTLE – Iced coffee on the way to work, take-out dinner and grocery store trips: these routine activities have one thing in common — they all use single-use plastic. Since 1964, the production of plastic has increased twentyfold, now reaching a rate of 8 million metric tons a year. To put it in perspective, this is the equivalent of one garbage truck of plastic entering the ocean every minute. Unfortunately, the demand for plastic is still growing, expecting to quadruple in production by 2050. This growth has been especially problematic in developing countries, where recycling facilities are either inefficient or unavailable and where the effects of poverty permeate all aspects of society. The Plastic Bank is working to change that reality. In today’s interconnected world, an idea can reach global capacities of influence. The Plastic Bank has pushed for a solution that tackles both the problem of ocean plastic and global poverty: the creation of recycling entrepreneurs in the developing world. In March of 2013, David Katz and Shaun Frankson launched an organization aiming to challenge the perception of the economic value of plastic, making it too valuable to throw away. And, they have succeeded in doing this by literally setting a value for plastic and paying people for collecting plastic waste. By 2015, Plastic Bank had launched in Haiti. The following year, it expanded to the Philippines, and now it also operates in Brazil. But, how does a philanthropic business model maintain funding? First, the plastic is collected by locals in countries where Plastic Bank is operational. It is then brought to Plastic Bank recycling collection centers, where they can exchange the plastic for money, items and now even Blockchain secured digital tokens. The collected plastic is then turned into “Social Plastic,” which is recycled plastic verified by Plastic Bank as ethically sourced raw material. Finally, Social Plastic is sold to corporate clients who buy it at a premium rate, much like organic or free trade goods are, and the surplus of these sales allows for the company to continue to give incentives for collecting plastic. Another way that Plastic Bank helps these communities is by encouraging local entrepreneurship. The organization provides the opportunity for local entrepreneurs to open convenience stores for the poor where plastic waste can be used as currency. Today, Plastic Bank is entering a new phase to incorporate cutting-edge technology into their operations. It has expanded to use blockchain technology — with the help of Cognition Foundry and the use of IBM LinuxONE — to set up an app that not only tracks their trash collection but digitizes their earnings. This is significant because some of these collectors do not qualify for bank accounts, and there is fear that their earnings will be stolen. Plastic Bank IBM-powered apps solve this problem by providing access to world-class banking and transaction technology that offers trusted means for monetary transactions in addition to providing a platform for global expansion. With further integration of the organization in local stores, these credit earnings can lead to life-altering exchanges. In 2017, 50 percent of people in Haiti had smartphones that could use the app, but collectors who don’t have smartphones can also use plastic credits to buy them at participating stores. Payment for plastic collectors in credit form can be exchanged for cook stoves, fuel, food, cell phone service or even medical insurance and children’s school tuition. The digital frontier of Plastic Bank has opened up opportunities for immense social and economic growth. Since its launch in 2014, Haiti now has 30 plastic markets as well as dozens of collection partners and more than 2000 active collectors who collect about 20,000 kg of ocean-bound plastic each month. In its first three years, seven million pounds of plastic were recycled. 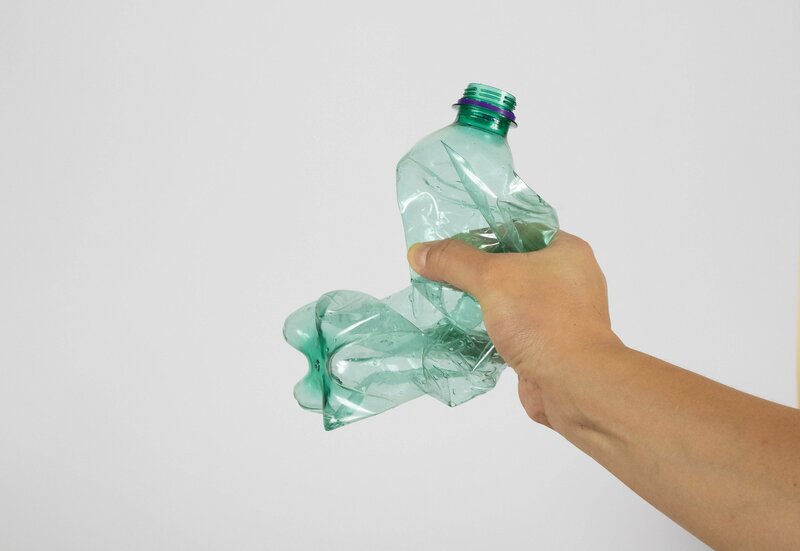 This has largely been funded by Henkel AG, a multinational German company that continues to buy social plastic to enhance its corporate social responsibility. Other notable buyers of Social Plastic are Marks & Spencer Group Plc., Royal Dutch Shell Plc. and Adidas AG. The impact and mission of the Plastic Bank organization meet 14 out of 17 U.N. Sustainable Development Goals. While currently operational in Haiti, The Philippines and Brazil, Plastic Bank hopes to expand globally with potential future engagements with Indonesia, followed by South Africa, The Vatican, Panama and India. The innovation of blockchain technology in social enterprise today has enormous potential to be a force for good, and when combined with the right ideas, can lead to reduced poverty along with a cleaner world.